Entering the 2012–13 season, the Hoosiers will be ranked among the top three teams in the country. (For what it’s worth, I think either Indiana or Louisville should be ranked No. 1, and it’s sort of splitting hairs to argue. I also remain very skeptical of UCLA). Surefire Preseason All-American forward Cody Zeller is back with a full summer of offseason workouts and rather funny tweets under his belt. Alongside Zeller is essentially every player of note from last season’s team. Joining him is the No. 11-ranked recruiting class in the country, including No. 3-ranked guard Yogi Ferrell. There might be a team or two out there with a higher concentration of pure talent in their starting lineups. There might be teams with more future pros or more athleticism on the front line. But no team will be as deep as this one. When you combine that depth with the towering force that is Zeller, well, no wonder Indiana fans are thinking national title. Cody Zeller’s tweets are definitely funny. He seems to be a really clever and interesting person in addition to being one of the best players to ever wear the candy stripes. They didn’t even mention Peter Jurkin. How do you forget about a guy that is 7’0″, 230 pounds? The nice thing about depth is that you can play guys that are working the hardest on defense, which is the keys to our next national title. We have an experienced offensive machine with players that can drive, dish, & shoot. I just don’t want to get beat 102 to 90 anywhere. No but 1987 was pretty deep and that worked out well! And I love that he participates and goes along with the whole “Big Handsome” mantra. He really has a great sense of humor. I think he will be a solid rotation player his sophomore year. This year we just have too much talent to be playing very raw frosh. The ’92 team had crazy depth. Also worked out well, but for Teddy V.
The 87 team was not deep. But the 92 team was very deep. 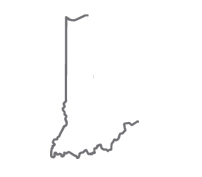 Trivia question, name the only three Hoosiers to be named the National High School player of the year. One name will suprise you. Devout Hoosier not a debate Sir. Just thought this might be a good place to comment. The Sweet Sixteen game was insain and took me back to an era when the Kings of Basketball stayed four years and dominated. Star players scoring 30+ most nights was a norm. Had we won 102-90 over Kentucky no one and I mean no one would be complaining about Btown’s hero’s playing poor defence. That game got to that score because The two best teams a year ago wanted to move on to the Elite eight. Something had to give. That’s why we do it all again in 2012-13. A toast of Yager to history, tradition and the Glory of Ol’ IU. Go Big Red! Keep up the good blogging Alex, your helping a fellow Hoosier not feel so homesick while I live my life In Australia. I really love what the coaching staff has done over the years to rebuild this program. Being a life long Hoosier that now lives in Oregon, I get so much Pac-12 stuff that hearing IUs name in the front of a conversation out here is really nice. Looking forward to this season! Go IU!